Omiš is a small town and port at the mouth of the Cetina River in the littoral of Poljica, 26 km southeast of Split. In the 13th and 14th century Omiš was home of pirates (Omiški gusari), who used there fast boats Sagittae (The Arrow) to attach trade ships at the mouth of the River. Once they have succeeded in their attacks they would fast retried up the Cetina river, where the trade ships and their escorts could not follow them. In this period the Omiš Pirate was the most feared along the Adriatic coast and trade republics, like Venice or Dubrovnik, made non attacking agreements with them, for which Omiš Pirates paid high taxes. The Republic of Venice and the Pope tried to put an end to the Omiš pirates by sending the crusaders, defeated by the Pirates the very first time, but in a second attempt they managed to put an end to the Pirate of Omiš. After this Omiš became part of the Bosnian Kingdom and later it was sold to the Venetian republic. Upon the fall of the Venetian republic Omiš, like main parts of Croatia, became a part of the Austrian Empire and stayed under Austrian rulership until WWI except for a 10 year period at the beginning of the 19th century when Omiš was under French rulership. Today Omiš is a very popular tourist destination, the population of app. 15.000 more then triples in the main season, most tourist stay in private accommodation and family pensions as the number of hotels in the area is limited. Meanwhile tourism is the main income source for the city, but also farming, fishing, textile and food-processing industries can be found in the town. In the winter half year the city is really quite, but every year in April/May, when the Sea is warm enough for most swimmers, life in Omiš starts to beat faster, many people from Split and the surrounding cities are dragged to the nice sandy beaches in Omiš. Also at this time of year, almost every day you can see hill climbers from different countries trying to climb the step cliffs behind the old town. And the river sport activities like rafting, canyoning etc. starts to be part of the daily program. The fortress Mirabella, a 13th century fortress situated behind the old town, you reach the fortress by following stair next to the St. Michael church in the center of the old town, entrance fee is 10 Kuna, for that you get a good exercise (lots of stairs) and a perfect view on Omiš. Churches, the old town of Omiš host a number of old churches and an old Franciscan Monastery, which has an art collection a library with old Turkish documents. The Fortress Starigrad (Fortica), if you are up for a really special experience, you should visit the 15th century fortress Starigrad, but for this you would have to climb, as the fortress is situated at the peak of the mountain behind the old town, the climb takes about 1 hour, so you need to be in good physical condition, but I guarantee it would be worthwhile your effort. Omis Summer festival, in the main season, there is always something happening in and around the old town, one of the highlights is the Klapa Festival (a capella singing), which takes place in churches and on squares in the old town. If you are more in to sport activities, you have plenty of options in Omiš, in the Cetina canyon, the following sport activities are offered. Rafting, which several daily departures from the city center, rafting tour takes about 4-5 hours, the rafting tours can be recommended to kids from age 8 years and adults at any age, here you can read more about Rafting in Omiš. Canyoning, although I have still yet not tried it, I heard the Canyoning trips on Cetina should be great fun, tours are arranged in period from April till end of September, participators have to be minimum 14 years old. Other sports: Diving, Hiking, Paragliding and of course Hill climbing as I mentioned earlier. On the beaches in Omis you of course have all kinds of water sports available. 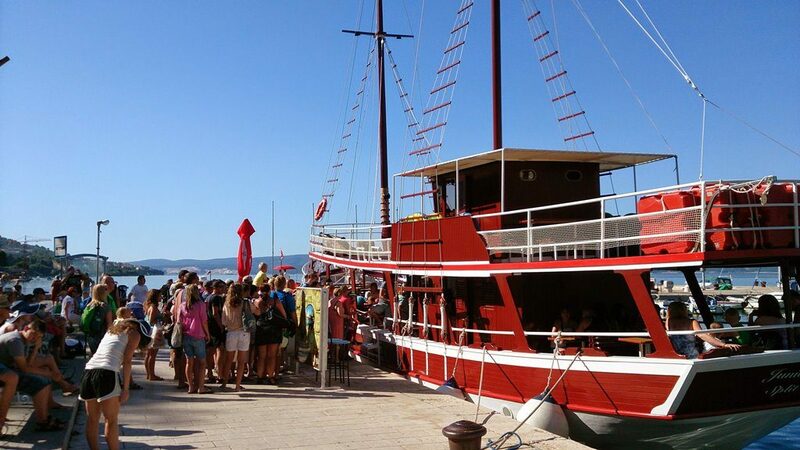 All tourists visiting Omiš will for sure be confronted with the Pirate history of the city, and this not only in the souvenir shops in the old town. During the summer a number of events related to the Pirate history takes places. During the summer, there is a weekly pirate night, where guest can join an evening in company with the fearful Omis Pirates, here you can read about our Pirate night tour. The culmination of the Pirate activities is in August, where you have a Pirate weekend and a Pirate night, on this occasion there is a pirate triathlon, a naval battle where the Pirates attacka Venetian trade ship, and lots of other activities. Omis has some great restaurant, especially in the old town, where the main street is packed with tables during the summer season, but if you have a car available, I would like to especially recommend 3 restaurants in the Cetina canyon, all 3 are great places to go especially for families with kids. Restaurant Kremenko, (Restaurant Flintstone) in Svinisce, about 12 km up the Cetina canyon is an amazing place, the restaurant is made completely in Flintstone style, on top of that the food is great. In the summer you can go with Flintstone bus from Camp Galeb to the restaurant and back. Restaurant Radmanova Mlinice, (Radmans mills) is situated 6 km up the Cetina canyon, the outdoor restaurant by the old mill, is and excellent place to eat trout, other house specialties is Dalmatian Peka and Frog. Most of the Rating tours on the Cetina River have their ending point at Radmanova. 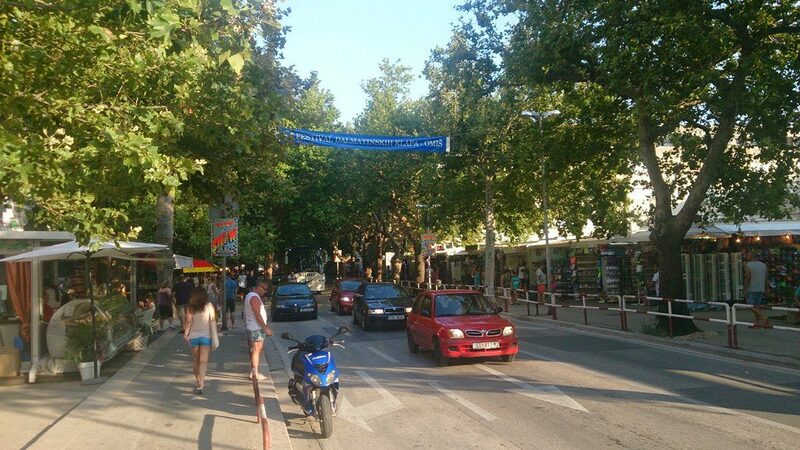 There is 3 places to look for parking in Omiš, the biggest parking area, is on Split side of the River Cetina, app. 100 meter before you get to the bridge, price for parking is 4 kuna / hour, from there you have about 400 meter to the old town. Second place to park is if you turn left just after you cross the bridge, follow the road for about 200 meter, then you will get to a tunnel, after the tunnel it is possible to leave your car. How does more then 1.5 km of sand beaches sound? Good? Velika Plaza (Big Beach), this 700 meter long sand beach is situated in the very centre of Omiš, this beach is within walking distance for everybody staying at the south of the Bridge, the beach is excellent place for families with children, remember to bring bucket and other sand playing equipment for the smaller ones. On the Beach there is a playground and activities like volleyball, football and windsurfing. Slavinj Beach and Brzet Beach, these two pebble beaches are situated 10 minutes from the centre of Omiš in southern direction, one the beaches you find lots of shade from the pine trees. Camp Galeb Beach, my personal favourite beach is the long sandy beach which starts in front of Camping Galeb and continues 3-400 meter after the camp in direction Split, you will have to park your car at the main road, and walk to the beach, if you arrive early it is normally not a problem. Young trees have been planted on the beach, the provide some shadow. If you shouldn’t manage to end up next to a tree you can rent Deck chairs and Sun shades at the coffee / fast food bar on the beach, which by the way has a saltwater pool where you can sit and enjoy a drink. NOTE: The water temperature in Omiš is always a bit lower then other places along the coast, reason for this is the fresh water from Cetina, which only has a temperature of about 16-18 degrees when it flows in to the Adriatic. So if you have water temperature in Split of 25 you will only have temperature of 22-23 degrees in Omiš. 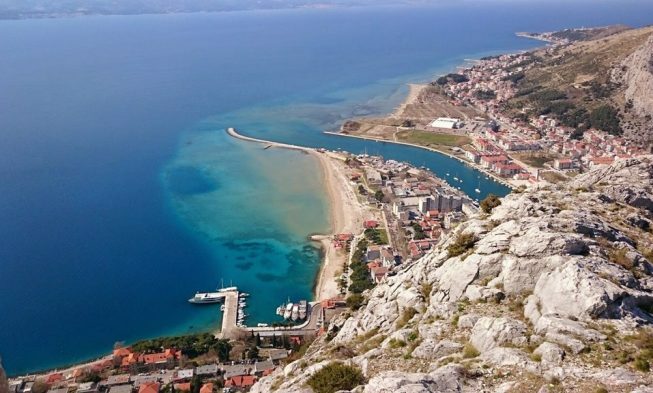 By Car: if you are driving to Omiš from the motorway A1 (Zagreb – Split- Dubrovnik) the easiest exit to that is the Split / Dugopolje exit, from here you have 35 km to Omiš, other alternative is the Bisko exit. By Plain: From Split airport in Kastil Štafilić, you have about 45 km to Omiš, with a taxi this will cost you about 400-500 kuna, so I can highly recommend to either book at transfer, or to take the airport but to Split, and local bus from there on. By Bus: The local line number 60 (Split-Omiš-Ravnički), leaves every half hour from 6 am till midnight, if it doesn’t get caught in traffic jam, the trip should take about 30-40 minutes, price for a single ticket is 20 kuna one way. Alternative to the official bus line, there is a lot of “privat” run mini busses driving between the two cities, they run with out a fixed schedule, they drive from the bus station next to the market in Split. Fish Picnic: From the harbour (Next to the fire station) and from the pear next to the bridge, there is several fish picnic ships which sail to Brač and as far as I remember also to Hvar. Trip to Split: if you haven’t been to Split, you should for sure plan a one day visit to see the Diocletian Palace. Krka Waterfalls: From Omiš you have about 1.5 hour to get to the Krka national park, which I can highly recommend. Brela Punta Rata: If you get tired of the sandy beaches, you should go to the Punta rata beach in Brela, here you have crystal clear water perfect for snorkelling. 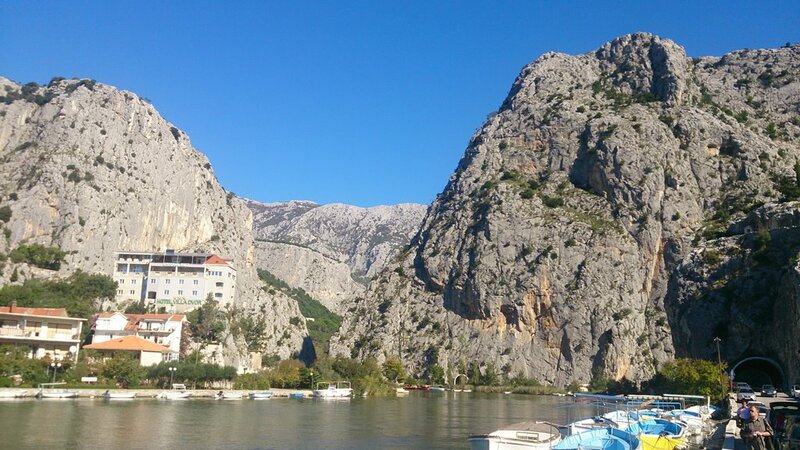 Omis has a limited hotel capacity, so most of the tourist stay in Private accommodations, the accommodation is situated on both sides of the town, and if you are staying with in the city boarders, you will have maximum 500 metres to the nearest beach. The prices for accommodation in Omiš is normally relative cheap compared to e.g. Istria, especially if you book directly from the owners. On the Split – Omiš Riviera, especially at the part short before Omiš, there is a number of very small campsites, If you are looking for a “real” campsite, the only option is Camping Galeb, we stayed there last year and can highly recommend the camp, here you can read about our stay at Camping Galeb in Omiš. On the map below we have marked the places, (Restaurants, beaches, roads, etc) which we mention in our story. If you have any question in relation to a holiday in Omiš, please feel free to leave a comment below, we will then do our out most to give you an adequate answer. First of all ty for this page- very nice info about Omis.I just got few q and I will be very glad If U could help me. Where can i find bus stop- from line 60 in Omis? Is it poss that U could send me some pages from local travelagent. that depends on where you want to go, there are several bus stations in Omis. Here is one towards Split 43.444828, 16.686400 (check it in google maps). There are many travel agents in Omis, just google it! We are planning to travel with a toddler so I’m wondering if you could recommend things to do with little ones. Also, what the best/easiest way to get to the Krka waterfalls? Can we book a boat trip there? 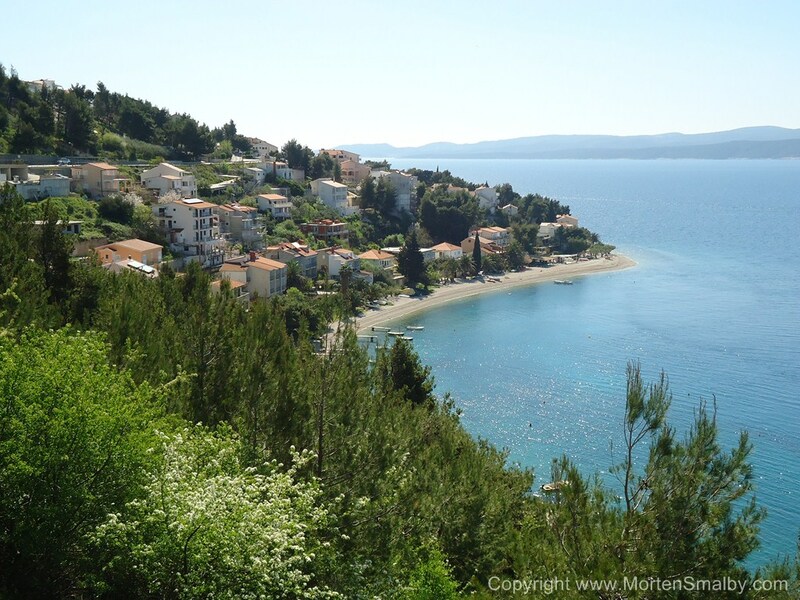 The best place in Omis I can think of for a toddler is the nice sandy beaches. 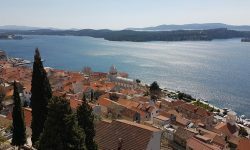 You should be able to find tours from Krka waterfalls in old town Omis where there are several travel agents, alternative if you have your own car, you might as well also drive there, from Omis it takes about 1 hour 30 minutes to get to Krka waterfalls.